Top 2017 KCPE exam candidate, Goldalyn Kakuya, on Thursday, won the Margaret Kenyatta scholarship to Brookhouse School. The scholarship, which was awarded to her by the First Lady Margaret Kenyatta, was launched in 2013 by the first lady in partnership with Malaysia to enable more local youth to acquire skills relevant to the country’s development needs. Goldalyn, who scored 455 marks, had joined Kenya High School following her exemplary performance in her national exams. 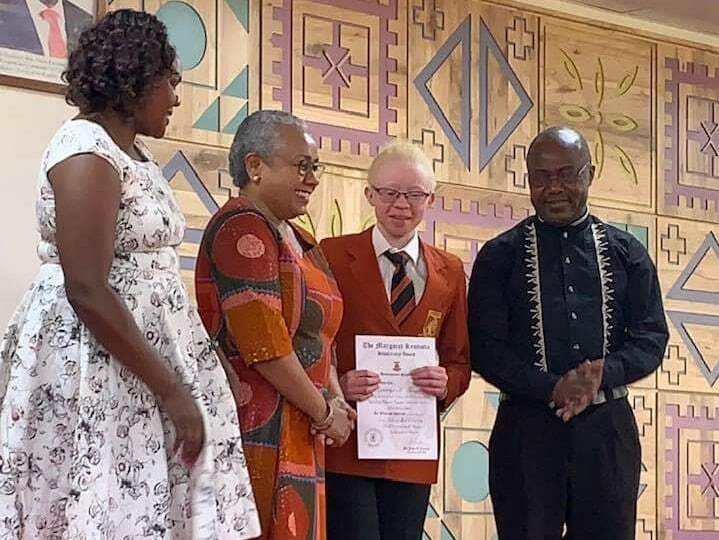 She become the talk of the town after she emerged victorious scoring an A in all subjects, an act that even saw her, together with her parents be invited to the State House by the President. She later would be on the guest lists of those who were to witness the swearing-in of President Uhuru Kenyatta together with his deputy for their final term in office on November 28, 2017. This scholarship is inevitably one among the many opportunities this ‘golden girl’ has been presented with. Speaking during the launch of the scholarship, Mrs Kenyatta stated that the scholarship scheme would be administered and awarded to deserving students through the Ministry of Education.